United Way of Greater Los Angles hosted a student empowerment and information event on Saturday, Oct. 17. The event was held on the thirtieth floor of the At&T building in Downtown, Los Angeles. The purpose of this meeting was to discuss the new $1.1 billion dollars of supplemental and concentration funds grant given to the Los Angeles Unified School District. According to a report made by United Way and other non-profit organizations, this new state funding was given under the Local Control Funding Formula (LCFF) in which school districts are allocated money based on their number of high-needs students. The students that attended the event were able to learn about how this new money affects them and were able to discuss the LCFF. 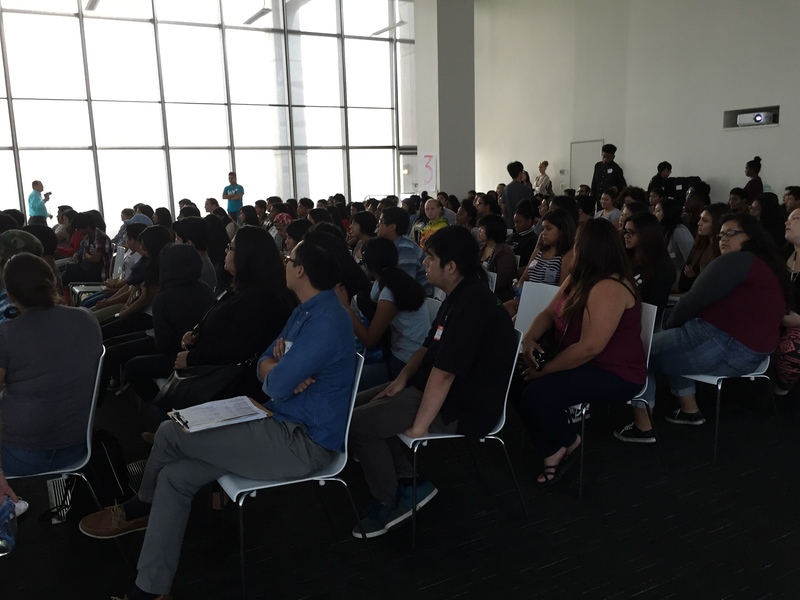 There were around 150 students from different high schools from East and South Los Angeles who attended. The students that attended were English learners, foster youth and from low-income families. These students are the ones who will benefit from this new funding. Los Angeles School Board President Steve Zimmer and other LAUSD representatives joined the students for the meeting. The meeting opened up with members of United Way explaining what exactly LCFF is and other topics that applied to this discussion. The school board president spoke to the students about the importance of them being there and giving their input of ideas and opinions on how they want to see the money be distributed. He thanked them for attending and getting involved in this civil rights process of accomplishing equity for LAUSD. “You have the right for full engagement in this process because it affects you,” Zimmer said. After the adults spoke, the students were placed in six different groups and discussed their current concerns about their schools and gave suggestions on different aspects that they thought this new money should be spent on. The issue that came up the most frequently was the lack of counselors, especially college counselors. Some students brought up the fact their school didn’t even have a college counselor. This is a huge issue because it puts those schools’ students at a disadvantage from other students who have that guidance in the college processes. All students attending said they wanted to attend some type of college. Most of the students in these high-need schools said they will be the first member in their family to apply and attend college and therefore need the extra support and guidance in the college process. Within the other suggestions were the need for more AP classes, additional Individual Graduation Plan assistance starting with freshman year and emotional support guidance. At the end of the day these high school students were filled with more motivation and eagerness to continue getting involved in advocating for their rights. This event gave students an opportunity to learn about things affecting their education and provided them with information to join programs like LA Times High School Insider and United Way’s Leadership Program.